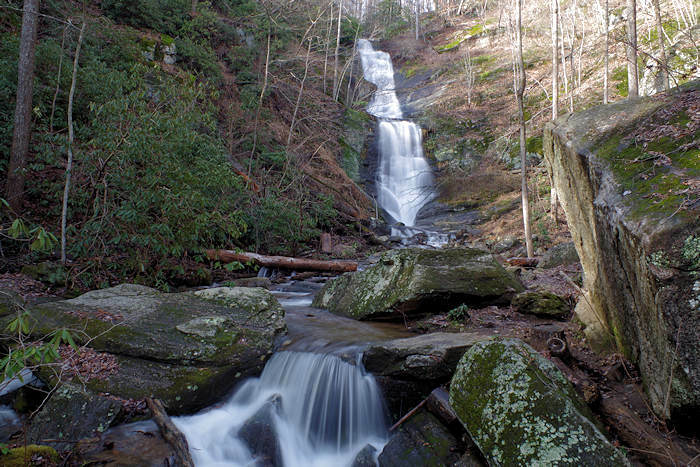 Located between Marion and Little Switzerland (near Linville Caverns) is Tom's Creek Falls. 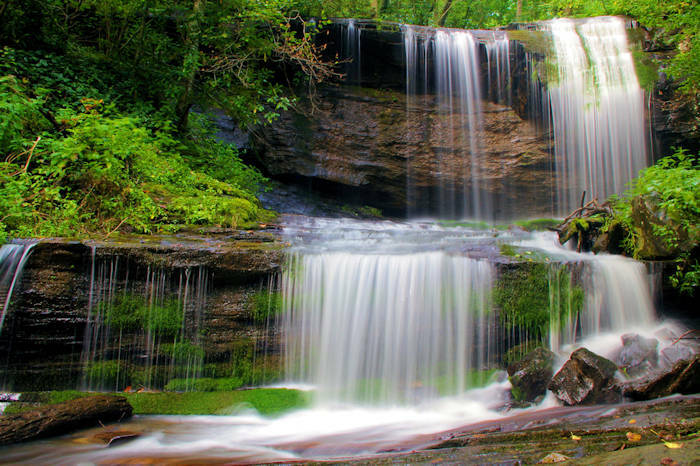 This beautiful, 80-ft. multi-cascade waterfall in the Pisgah National Forest is an easy one-mile round-trip hike. 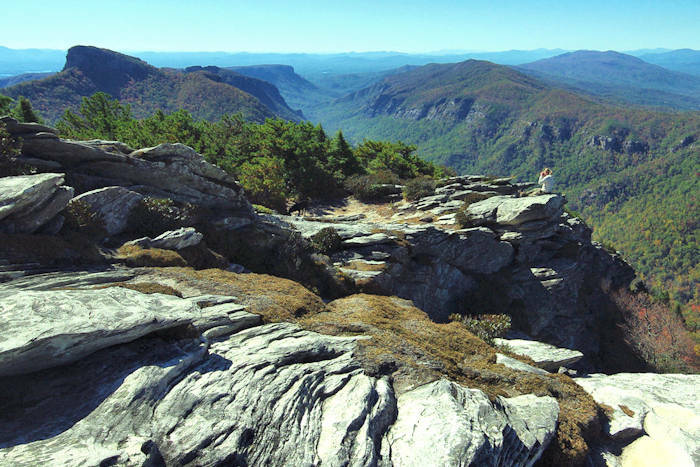 And, the hiking trail is just a 1.2-mile drive from US Highway 221. Since it's so easy to reach and there's a new observation deck, this waterfall is great for children or adults that cannot walk long distances. 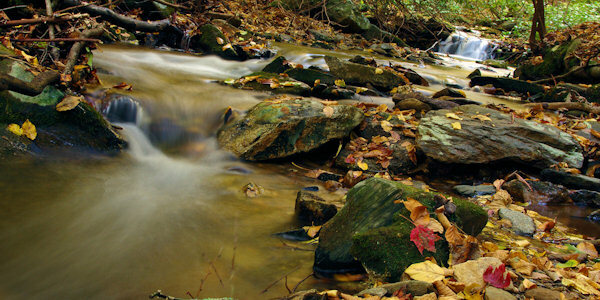 For a closer look at the waterfall, look for the trail to the right just before you reach the observation deck. This will take you to the pool in front of the falls. But don't try to climb the top of the falls! When the water is lower, you can walk up very close to the base and wade in the water. There are some great rock formations here too. 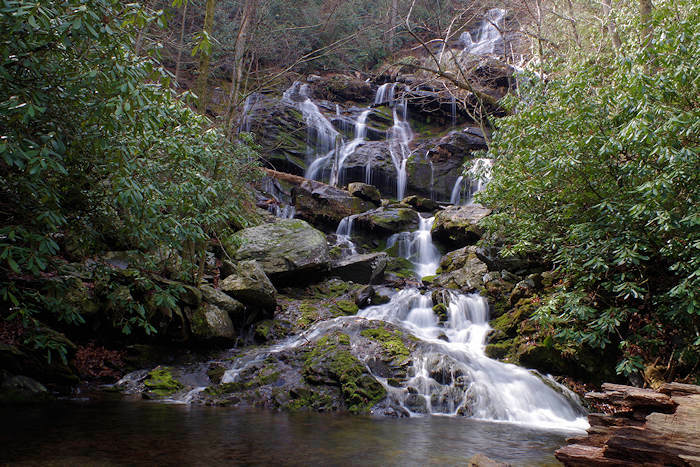 Nearby Waterfalls: Grassy Creek Falls (7.5 miles), Crabtree Falls (13 miles), Linville Falls (19 miles) and Upper Creek Falls (26 miles). 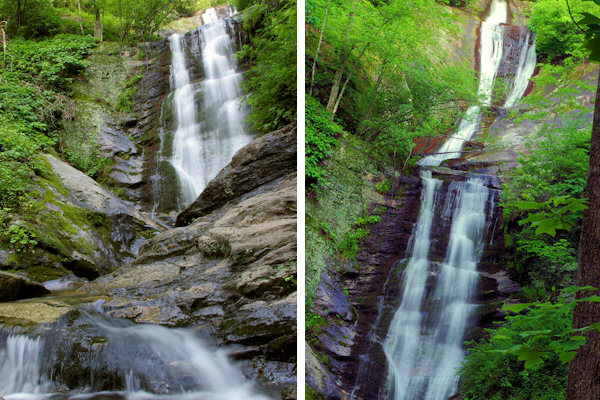 Directions: You can reach Toms Creek Falls from Marion (via I-40) or from the Little Switzerland/Parkway area. From I-40, take US 221 North (exit 85) about 12 miles to Huskins Branch Road. Turn left and go 1.2 miles to the trailhead (a small parking area before the bridge across the creek). The road is paved except for a small section in the middle. See a Google Map below. 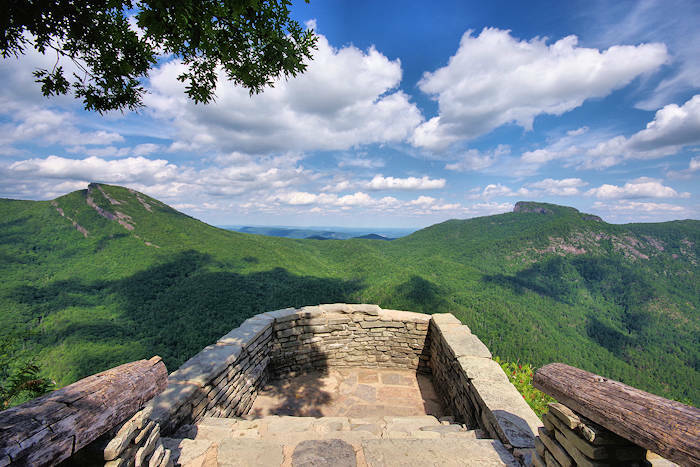 From the Blue Ridge Parkway / Little Switzerland area (about 7.5 miles), go south on NC 226 (at Milepost 331) to US 221. Turn right on US 221 and go 1.2 miles to Huskins Branch Road on the right. Go 1.2 miles to the trailhead. 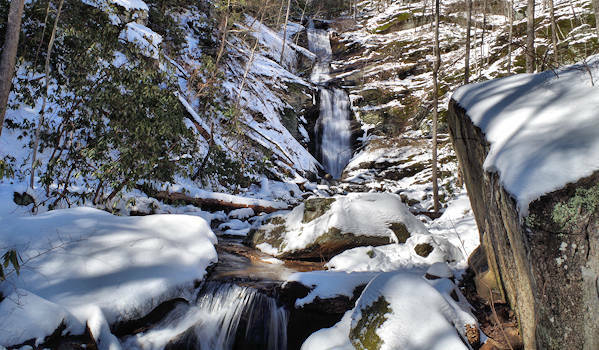 Tom's Creek Falls is a favorite, easy waterfall hike for all seasons. 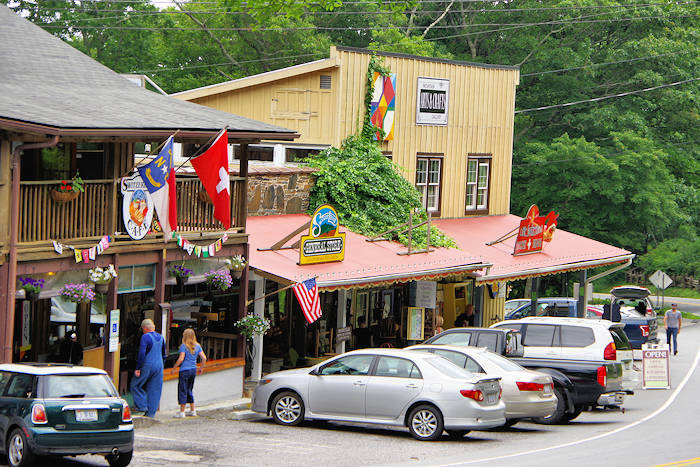 See more things to do nearby: Marion and Little Switzerland.